It's not often that a hack comes out of getting to know a Parent Hacks advertiser, but that's exactly what happened here. A small button ad from Matisse and Jack's, makers of TrailBlaze Homemade Energy Bar mix, came through recently, and it piqued my interest. Energy bars I could bake myself? I've been known to spend upwords of a dollar per bar for the packaged versions (Clif Bars, Kashi GoLean bars, and Luna bars come to mind), with varying degrees of success with my kids. Was there a better way? Aaron of M&J's and I began emailing, and he sent me a couple boxes to try. Chocolate Chip and Cranberry Walnut. Hmmm. Miraculously, I had the add-in ingredients on hand (applesauce and yogurt), so I baked a batch minutes after ripping open the UPS carton. As my kitchen filled with the aroma of melting chocolate, I began to think smug thoughts about the homebaked-yet-healthy snack I'd serve my kids after school. But did they taste as good as they smelled? Yes! The "homebaked" part made all the difference. Instead of a hard, sawdust-like bar, these were about halfway between a cookie and a very dense cake. They were lovely warm and spread with butter (admittedly, not the most health-conscious preparation). My kids were slightly less enthusiastic, only because they're finicky (have I mentioned that?) and they were expecting standard chocolate chip cookies, a la Tollhouse. But they still liked the bars. I'm going to bake up the Cranberry Walnut mix using the Energy Cookies recipe to see if that's more popular. As for the net cost: about 55 cents per bar if you cut the recipe into the recommended nine bars…but little kids will probably want less, so the per-bar cost is even smaller. So, I emailed Aaron and asked how Parenthackers could get their hands on this mix (right now it's only available in Northern California, US and British Columbia, Canada stores). He pointed me to the online order form, reminding me that shipping is free with an order of four or more boxes ($4.99 US per box). 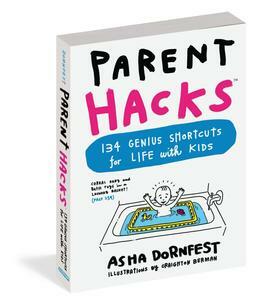 AND, if you enter the coupon code PARENTHACKSNOV, you'll get an additional 15% off your order. Nice! The Parent Hacks dealie only lasts for a month, so if you're inclined to give Trailblaze a try, do it soon. Save yourself more money, and just make them entirely from scratch! Arrgh, you beat me to the punch with the Good Eats reference, but let me just second the reccomendation. They are good and easy especially the Brown Rice Crispy Bars. Man, I’m going to have to TiVo Good Eats. That show keeps popping up in the comments. Thanks! I’m going to third that recommendation. FIVE DOLLARS a box??!! You could make up the dry ingredients for make-your-own in ziplocs, keep them in the fridge, and then just add the wet ingredients and bake as needed. Or bake a bunch and freeze them. Oy. Low fat, hign fiber, no sugar – Just make the cookie recipie off the Oatmeal box subsitute egg beaters or apple sauce or bananas ( put old brown ones in the fereezer until you need them !!) for the eggs and oil. Splenda for the sugar ( they have brown sugar also ) add your nuts,choc chips, raisens, dried apricots or dried plums( prunes) as you see fit. They come out real nice in brownie pan. I’ve been casting about for a recipe for savory, rather than sweet, nutrition bars for ages. My problem isn’t sweets — it’s savory flavors — salt, onion, garlic, etc. Jerky’s expensive, peanuts are fatty and hard to digest, and nearly every store-bought bar is candy-like in flavor. Notable exception are the Nut Natural bars… but I’d love to find a home-made solution. Suggestions? I have been looking for a homemade energy bar recipe and found a link to this site on Life Hacker. I was intrigued by the box mix, but then the comments pointed me to the Good Eats recipes. I tried one of the recipes, as several of the comments implied a resulting bar much cheaper than 55 cents each. Well I made the “Good Eats” protein bars and then painstakingly figured out the cost per bar and it comes out to around 50 cents too! And I am willing to bet the box mix tastes better. So I might check them out. Dredging up the past apparently but I’ve just become interested in this topic. Those bars are more than $0.55 as you still need to add in the other store bought ingredients to the price.